Located within a highly accessible location in the heart of Piccadilly Manchester, Oxygen will be a beacon of Manchester’s skyline. 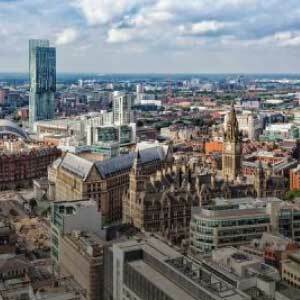 Designed by award winning architects 5Plus and developed by the renowned Property Alliance Group, Oxygen will be one of the highest specification buildings ever built in Manchester. Featuring 345 stylish apartments, twelve townhouses, five star leisure facilities and sky gardens. Home to 12 luxury townhouses at ground level, 345 1 and 2 bedroom apartments above and basement car parking below, Oxygen sets a new benchmark in 5 star city living; every apartment and townhouse is finished to exceptionally high standards.